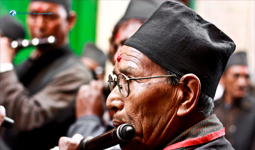 The picture was taken in Basantapur. 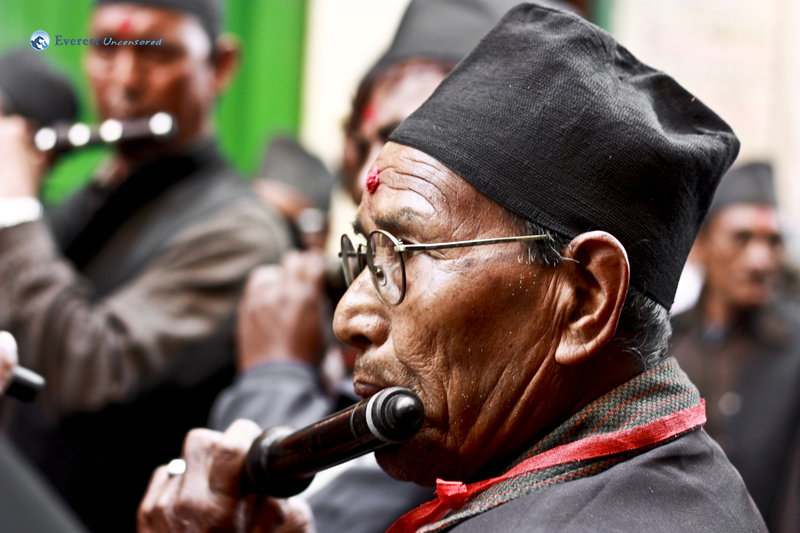 When he blows the flute, the tunes rise and fall as it flows through the spaces. It is the melody that has stood the test of time, just like the wooden instrument that it was written upon. When he plays I listen, just like they did times long before; some things are beautiful no matter the times.